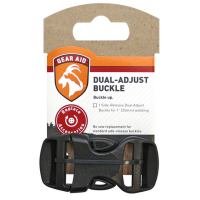 Make drying and hanging gear quick and simple with the Gear Aid Camp Line kit. 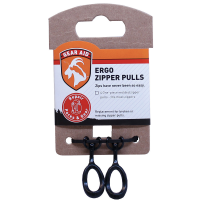 Using the kit's 550 paracord, camp carabiners and line tensioners, you can set up a strong line in just a few minutes. The Gear Aid Carabiner Light kit is a rechargeable, portable LED light that you can hang inside a tent as a lantern, or attach to a stroller, backpack or dog collar for lighting on the go. 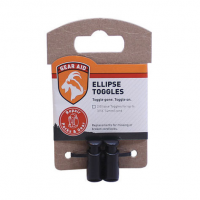 Find things at night with the Gear Aid Ni Glo gear marker, a waterproof, glow-in-the-dark keychain to help you find gear at the campsite, signal the next big catch or mark epic trails and dive sites. 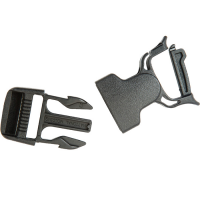 Gear Aid Side Release Buckle Kit, 1 In. 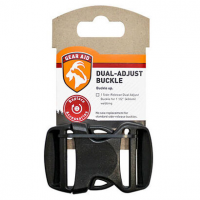 Make sagging clotheslines a thing of the past with the Gear Aid Taut Line Kit. Dry towels, hang gear or suspend lights using the kit's 50 ft. of reflective paracord and 4 easy-to-use line tensioners.